One of the roles of Presbyterian Older Adult Ministries Network is to provide resources, information, and answers to your questions. We are always searching for answers about the meaning and purpose of our lives, and we seek to express those answers in how we live. We question what is truly important. We build relationships with others and with God, which we might value highly or just take for granted. The searching, expressing, questioning and relating are part of our spiritual self. There are joys and challenges in aging and growing older. These years can be an opportunity to discover the deep spiritual meaning that can come with wisdom and age. As we grow older, our spiritual self changes along with our physical, mental and emotional selves. The spiritual life that satisfied us when we were younger may no longer satisfy us as we grow older. Many have found that serving God and serving others plays an important role in the spiritual life of aging adults. POAMN understands that aging is a natural process of life to be honored. It is our hope that our resources will be helpful and useful and that you will use them to best suit your situation. Through our POAMN Network, the PNN Newsletter, The Older Adult Ministry Planning Guide, Older Adult Ministry Certificate Program in collaboration with Columbia Theological Seminary Lifelong Learning, and our regional and national conferences every year we do our best to stay well-informed and address the questions and concerns we all face on the journey of aging. We address the needs of new retirees, active boomers and older adults, and those who may be confined to their homes, so that all can remain a vital part of the body of Christ and connected to their congregations. 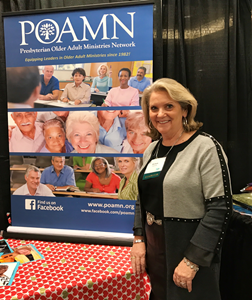 Many articles cover topics pertinent to all who are aging and range from intergenerational ministry, telling your faith/life stories, developing an Older Adult Ministry, retirement, spirituality and aging, and oh yes – how to become a member of POAMN and much more! We hope you will consider joining POAMN or donating to POAMN, a 501(c)(3) organization, and continue to support our great mission of honoring, treasuring, and recognizing aging adults and those who have led the way. May we also lead the way for the generations who follow by modeling God’s love for all of God’s people—from birth to death! This is an important part of our 36-year history and legacy and one we hope all congregations and organizations will consider embracing. You can find more information on Presbyterian Older Adult Ministries Network at poamn.org. You can also find us on Facebook @ Presbyterian Older Adult Ministries Network – POAMN and Twitter @POAMNdwright. Michele Hendrix is President of Presbyterian Older Adult Ministries Network (POAMN). She is a Deacon, Stephen Leader, Caregiver Specialist, Speaker and Trainer with expertise in Older Adult Ministry and Caregiving. Working for over 30 years to advocate, educate, involve and motivate individuals in the process of aging and self-care. 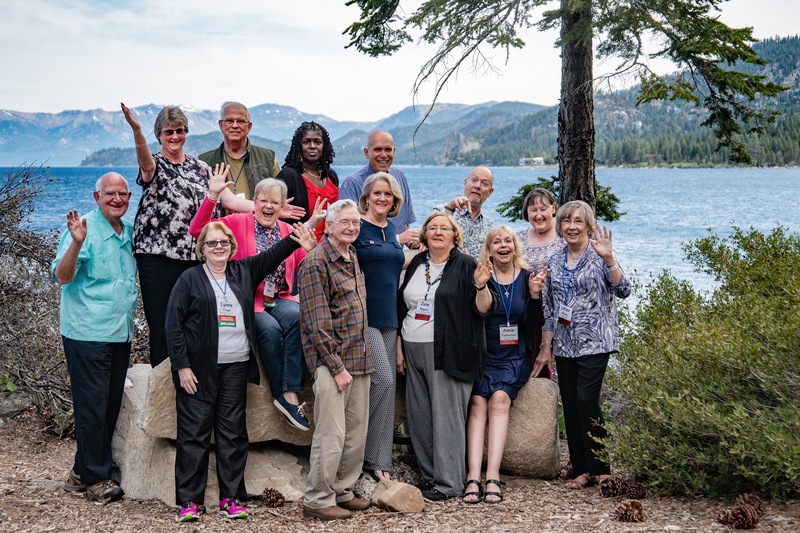 Recognizing the connections among church, health care, non-profit, community, state, federal, and local agencies while encouraging adults of all ages in managing their self-care, chronic conditions, respite, and caregiving roles. The focus of this work is on intergenerational, interfaith, older adult ministry, and evidence-based programs for adults, health promotion, ministry programming and development, respite for caregivers, and fall prevention programs. Serving for 18 years as Director for Encore Generation Adult Ministry and Pastoral Care Assistant at Grace Presbyterian/Houston advocating, educating, involving and motivating individuals in the process of aging and self-care.